Top Animation News: Stan Lee, F is for Family, Donald Trump and more! Top Animation News is a weekly column that rounds up the biggest, best and breaking stories from the world of animation. This edition covers November 9 to 16, 2018. Stan Lee passed away on November 12, aged 95. Born Stanley Martin Lieber in 1922, he was behind many of Marvel Comics’ best-known titles including Spider-Man, the Avengers and Black Panther. An editor at the company by age 18, he adopted the pen-name Stan Lee because he was embarrassed by the one-dimensional writing required of comics at the time. He changed the medium, and global culture, forever in 1961 with the launch of the Fantastic Four — a team of heroes with decidedly human issues, from acne to familial conflict. Read the full Stan Lee obituary on “BBC News”. Previews dominated animation headlines this week, with a teaser for Pixar’s Toy Story 4 plus full trailers for Tim Burton’s Dumbo reboot and the live-action hybrid Pokémon Detective Pikachu. 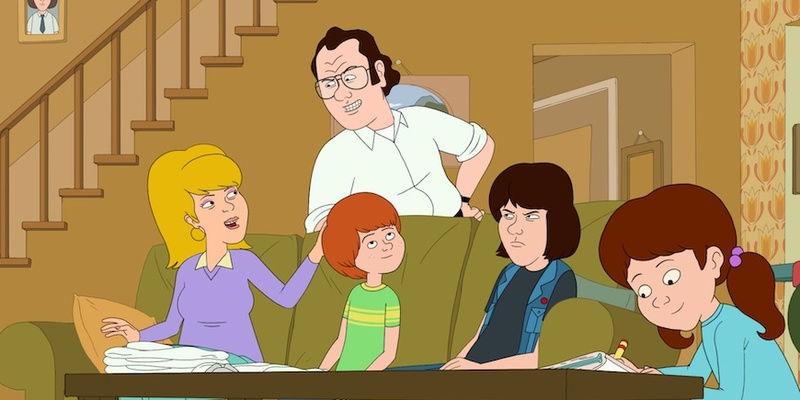 And it wasn’t just feature films; Netflix gave audiences a first look at its 1970s cartoon comedy, F Is For Family. Produced in Toon Boom Storyboard Pro and Toon Boom Harmony, the Murphys are back for their third season of fun and dysfunction. Watch the F Is For Family trailer above and read more on “Animation Magazine”. Wallace & Gromit studio Aardman Animations has given its 140 employees a 75-percent stake in the business to protect its independence as its two co-founders slowly step back. The UK’s biggest animation production company was launched by Pete Lord and David Sproxton, who received a multimillion-pound payout in this week’s deal and will continue to own a quarter of the award-winning enterprise. Aardman employees’ majority stake will be managed via a trust, and they will have an input on how the studio is run via a workers council. Explore Aardman Animations’ deal in greater detail on “The Guardian”. Hip-hop cartoon The Indies: An Animated Short launches today. 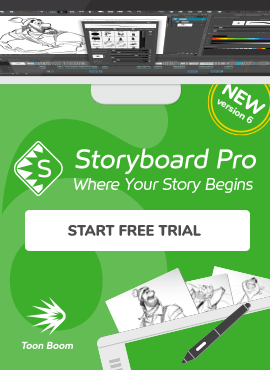 The short film was co-directed by DJ Tony Drake and Chaz Bottoms, and produced in Toon Boom Harmony and Storyboard Pro in nine months. It has received significant attention online, with coverage in numerous hip-hop publications and a Kickstarter campaign that raised over $50,000 in 35 days. Catch the full The Indies: An Animated Short interview on the blog. 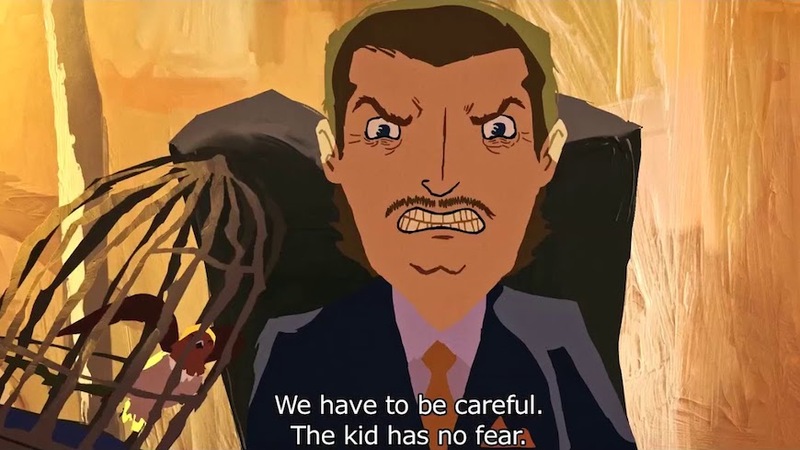 Brazilian Oscar entry Tito and the Birds (produced in Toon Boom Harmony by Shout! Factory) is set in a world infected by a pandemic of contagious fear. According to co-director Gustavo Steinberg, the idea was to teach kids about the harms of a global alarmist culture perpetuated by the media and social networks. He notes that when work on the film began eight years ago, Donald Trump was used as the inspiration behind Tito and the Bird’s villain. “We decided that before [Trump] was even a candidate, and then he got to be the president and we were like, ‘I guess we are talking about the right things,’” says Steinberg. Dig into the full interview with Tito and the Birds co-director Gustavo Steinberg on “Deadline”. The Liberator is an upcoming four-part WWII series and will be the first ever to be produced using Trioscope Enhanced Hybrid Animation. Netflix ordered the war drama this week, and it will use new technology that combines CGI effects and live-action for a realistic graphic novel-style aesthetic. The Trioscope was developed by VFX artist and animator Grzegorz Jonkajtys (Pacific Rim, Pan’s Labyrinth) and L.C. Crowley of School of Humans. Take a closer look at the animation tech behind Netflix’s The Liberators on “engadget”. The past, present and future of traditional 2D animation will take centerstage in new documentary Hand Drawn. Created by director Felicity Morland, it will feature major names from the industry and is seeking crowdfunding via an Indiegogo campaign through November 25. Hand Drawn will examine 2D animation’s persistence in a high-tech world and the endurance of traditional techniques in unexpected places like 1930s cartoon-style video game and Netflix’s 2019 holiday film Klaus (produced in Toon Boom animation software). Catch the Hand Drawn trailer above and read more on “Animation Magazine”. Saturday Night Live past and current stars Will Forte and Heidi Gardner will voice two extraterrestrial anchors in Alien News Desk, Syfy’s 12-episode entry into late-night animation. The series will also be executive produced by SNL legend Lorne Michaels, alongside Joel Kuwahara and Scott Greenberg of Bento Box Entertainment (Bob’s Burgers, Paradise PD). Aliens News Desk will premiere in early 2019 and offer topical commentary on the universe’s most bizarre species: humans. Head over to “The Hollywood Reporter” for more on Alien News Desk. A 1928 Walt Disney animated film that predates Mickey Mouse was found in Japan. Titled Neck n’ Neck, it was in the personal collection of Yasushi Watanabe — an anime researcher who bought it as a high school student in Osaka 70 years ago for ¥500 ($4.40). The Japanese version, retitled Mickey Manga Speedy, features Oswald the Lucky Rabbit, a predecessor to Mickey Mouse. Dive into the Disney’s discovery on “CNN”. Yes, you read that headline correctly. Akihiko Kondo of Japan married Hatsune Miku — a hologram 16-year-old anime character and pop star who has had sold-out concerts in her home country and the United States. While Miku does not exist, it seems Kondo’s love for her is very real; his $17,500 wedding to her was attended by 40 people, though his family and mother declined their invitations. Venture over to “VICE” for more on the not-so-normal nuptials.